Are you going on a journey? Need to find the safest and best hamster travel cage so that you can take your furry friend with you? Finding the best hamster travel cage for your hamster may seem like a daunting task, but we are here to make the job easy and fun. Today, we are providing you with a list of 16 of our favorite brands of hamster travel cage ideas, perfect for you and your hamster’s traveling needs. Why Do I Need A Travel Cage for My Hamster? If you have a hamster, chances are you are eventually going to need a portable hamster carrier to transport him somewhere. Whether you need to make a quick trip to the vet or you’re moving from one home to another, your hamster friend is going to need a proper hamster travel carrier for all your traveling needs. 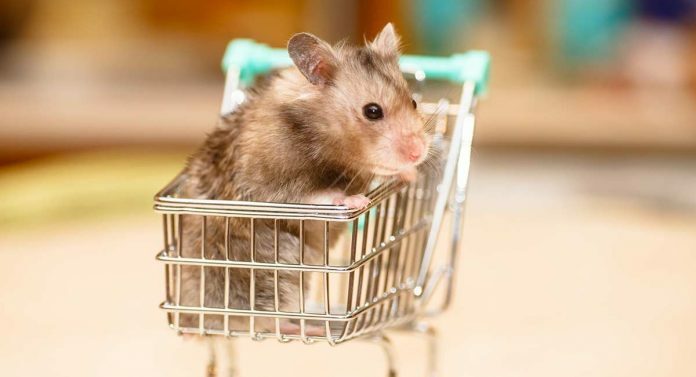 There are a number of hamster pet carrier products available online and in pet stores, but you don’t want to buy just any old hamster travel cage. Hamsters are sensitive little creatures who could be susceptible to anxiety during long or even short trips if not properly cared for during the journey. But don’t let that deter you from traveling with your tiny companion. Hamsters make easy travel buddies as long as you have the right products and know how to properly care for your hamster while you are on the move. When traveling with a hamster, experts recommend safe, secure carriers with plenty of ventilation. If you are going on a long journey, you’ll want a hamster travel cage that has sturdy walls, space for bedding, space for a water bottle, a food container, and a small exercise wheel for your furry friend. A good example of this would be the Kaytee CritterTrail Portable Petite Habitat. This hamster travel cage is ideal for long trips, as it comes complete with a water bottle, plastic, see-through walls, tons of ventilation, a running wheel, and a food dish. For shorter journeys, most hamsters do just fine in smaller hamster travel carriers. Just make sure it is hamster-friendly and has plenty of ventilation. Also, make sure you are able to offer your hamster access to fresh water if the need should arise, even if this means you bring along a water bottle for him on the side. The IRIS Extra Small Animal and Critter Carrier is a great example of the perfect hamster travel cage for those shorter journeys to the veterinarian, or even for a short trip to a friend or family members home. If neither of the above options works for you, don’t worry a bit! We have a list you simply can’t go wrong with below. Keep reading for more of our favorite hamster carrier cage products! What is a short trip to your hamster companion? 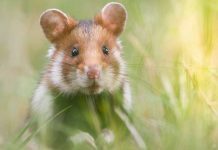 A short trip for a hamster would be a trip to the vet, a trip to a friend or family member’s house, or any other journey that takes just a couple of hours at most before your furry friend is back in his normal habitat. 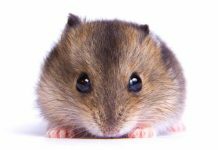 A smaller hamster, like a dwarf hamster, for example, won’t need as large of a hamster travel cage as their larger hamster counterparts, especially during shorter journeys. The below products are great to use for dwarf hamster carrier cages or large hamster carrier cages. For example, the Yosoo Portable Hamster Breathable Pet Carrier Bag is perfect for that quick trip to the vet and makes a great small hamster carrier. However, it is a pouch and therefore it is for seriously shorter trips that shouldn’t take more than an hour or two. This is not a suitable travel case for journeys over an hour or two. This is because your hamster friend will need access to fresh water, food, exercise, and of course he will need to use the bathroom! For journeys over two hours, we recommend the CatYou Hamster Come Along Small Animals Carrier. It is a hamster travel cage perfect for that short journey you might need to take, but with a bit more room for trips that will take longer than two hours, but still under three or four. If you are looking for a similarly sturdy and handsome hamster travel cage for the shorter trip, the Petsfit Soft-Sided Pet Carrier for Small Pets Only is an excellent, secure, escape-proof and ventilated hamster travel cage. Affordable and easy to travel with, this hamster travel cage will make any short-term trip easy and fun. For those hamsters with an adventurous streak, take a look at the Habitrail Ovo Transport Unit! We really like the design of this short-term hamster travel cage! It should make a nice short trip easy and comfortable for your little hamster companion, as it will feel just like his favorite exercise ball. For a more simple design, check out the Lee’s Kritter Keeper, Medium Rectangle with Lid. This is another temporary hamster travel cage for your small or large hamster. With sturdy walls, a ventilated lid, and carrier handle, this is a no-brainer hamster travel cage for those short trips to and fro. This Leeotia Small Pet Carrier Bag Animal Outgoing Bag with Shoulder Strap may not be suitable for long trips, but it’s an excellent hamster travel cage for a quick run to the vet or someplace similar that just requires a short amount of voyage time. With a ventilation window, a warm, secure pouch for your hamster to snuggle up in along the way, and a shoulder or neck strap for easy carry, this pouch is perfect for short, day-to-day journeys. While we like the sturdy design of the Favorite Top Load Portable Pet Small Animal Carrier Outdoor Short Trip Travel, this hamster travel cage may not be suitable for all of your hamster’s needs. Be sure to read the reviews so you are sure you can use it for your specific requirements. Still, this hamster travel cage will make a great hamster travel cage for those of you with larger hamsters needing transport. However, it does not come with a water bottle or food container. Still, we love the ventilated, portable design and clear plastic top so you can easily check in on your little furry friend. For a more compact, fold-n-go hamster travel cage option, we adore the Ware Manufacturing Twist-N-Go Carrier for Small Pets. When you’re not using it, simply twist it up and stuff it away! And while these hamster travel cages are fun and useful for shorter journeys, keep in mind that all the above hamster cages are for short-term trips only. None of the hamster travel cages listed above are suitable for trips lasting more than a few hours. But don’t worry. We have got you covered for those longer trips below! What is a long trip to a hamster? An hour? A day? A week? Anything over a day should be considered a long trip for your wee little hamster. If you are traveling with your pocket pet for longer than a few hours, you’ll need a habitat-like hamster travel cage for him that is capable of carrying bedding, food, and water. If you are going on a longer trip, for example, a road trip or plane ride, below are the hamster travel cage options we would recommend for your hamsters. The Living World Hagen Pet Carrier is specifically designed for hamster travel cage safety. With sturdy plastic walls, great ventilation, and a clear “skylight” made for easy visual access to your hamster companion, the only thing you’ll need to add is a water bottle, bedding, and a food dish. Similar in design is the IRIS Extra Small Animal and Critter Carrier, which comes in two colors and is sturdy, safe, and compact, perfect for those long trips where you need to keep your little hamster comfortable and secure. For those of you planning to travel with your hamster for an extended period of time, we suggest you purchase hamster travel cages with accessories that come included. Longer periods of travel with your hamster counterpart will mean you’ll need to bring along a water bottle, a food dish, bedding, and a little hideaway area or running wheel for your hamster friend to exercise in. Why not get an all-inclusive hamster travel cage to make things easier? Check out these products below that we love! The Alfie Pet by Petoga Couture – Travi Travel Carrier Vacation House for Small Animals like Dwarf Hamster and Mouse comes in both blue and pink and is the complete package of travel luxury for your little furry pal, especially if he is a smaller hamster like a dwarf hamster. Or, perhaps you have a larger hamster that you’re worried about traveling with. If so, you should take a look at the Kaytee CritterTrail Portable Petite Habitat. This hamster travel cage is large enough to serve as a temporary habitat for a day or two, but small enough to easily transport. It also comes complete with a carrying handle, a water bottle, an exercise wheel, and a food dish. And – oh my goodness, isn’t this Kaytee Crittertrail Off to School Pet Carrier just too cute? Complete with a water bottle, food dish, tiny running wheel, and fun design to boot, it’s perfect for your hamster’s corky personality. It’s also fun for youngsters traveling with their mini hamster companions. However, while it would make an excellent hamster travel cage for dwarf hamsters on longer trips, it is not the best hamster travel cage for long distances with larger hamsters. Still, you can always use it to take your bigger hamster friend to the vet or to a friend or family’s house. Another hamster travel cage with water bottle included is the ZoeZ Portable Carrier Hamster Carry Case Cage with Water Bottle Travel and Outdoor for Hamster. We love this portable hamster carrier because it is perfect for traveling with your dwarf hamster or other small pocket-sized pet. However, we should note that while the Amazon reviews are great, product buyers did mention this hamster travel cage was very small. So, again, it may not be the best choice for those of you with larger hamsters. How Can I Safely Travel With My Pet Hamster? 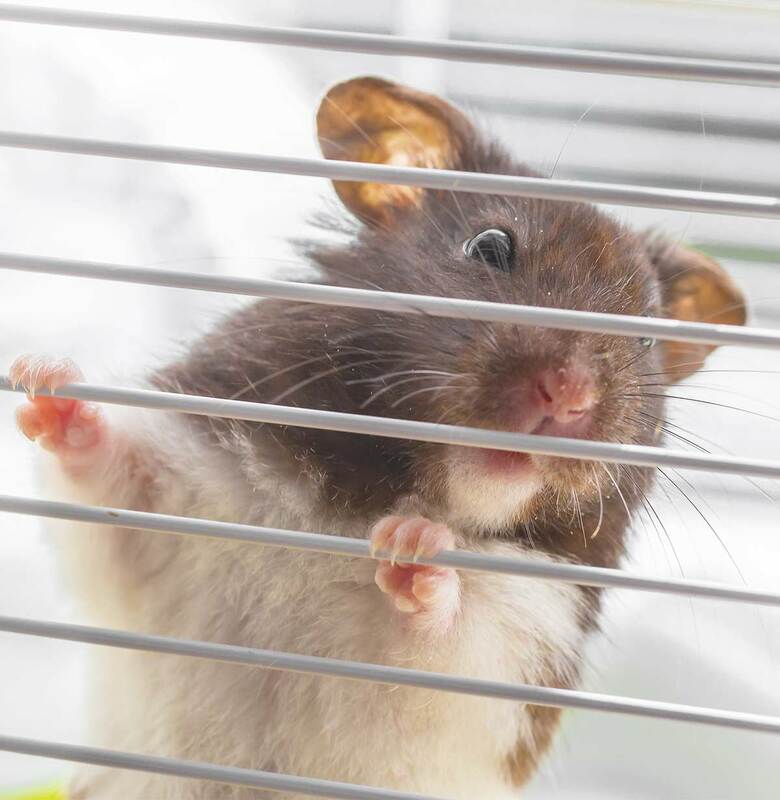 There are other measures you can take to ensure your hamster travels safely and happily aside from simply purchasing a safe and secure hamster travel cage. First and foremost, make sure your hamster carrier is appropriate for the size of your hamster and the length of your journey. If you are simply going on a short trip to the veterinarian or something similar, then a small cage with a small amount of bedding will do. You might consider bringing your hamster’s water bottle along if his portable carrier does not have one included, just in case. 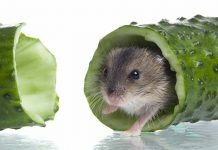 If your journey is longer, or you are flying with your hamster, experts suggest a secure, escape-proof hamster travel cage with great ventilation, a water bottle, and a food dish. To reduce adding stress to your hamster during long trips, we suggest using the same type of bedding you put in his everyday habitat. Bring your hamster’s normal food with you as well and keep it in an airtight container to keep it fresh. Then feed him as you normally would to keep him on schedule. If possible, try and keep your hamster with you in his carrier, and be careful about letting people handle your hamster along the way. While it is fun to show off our furry little friends, remember that they are living creatures who can become highly stressed, especially when being held by unfamiliar people in unfamiliar environments. Of course, hamsters can be especially sensitive to heat and cold. So, be careful where your hamster’s carrier is placed during travel. If your hamster travel cage is sitting in direct sunlight, the carrier will likely get hot inside. If you set your carrier near a drafty window or a cold air conditioner, then his carrier can get very cold. But don’t worry. For the most part, traveling with your hamster is simple. They are adaptable creatures and as long as they are kept relatively in their comfort zone with fresh food, water, and familiar bedding, they’ll be just fine! We hope this article has been helpful and you and your hamster enjoy your upcoming trips together! Bond, C. R. (1941). The Golden Hamster (Cricetus auratus): Care, breeding, and growth. Physiological and Biochemical Zoology, 18(1). Kollack-Walker, S. J. et al (1997). Social stress in hamsters: Defeat activates specific neurocircuits within the brain. The Journal of Neuroscience, 17(22). Robert J. Russell, R. J. and and Stunkard, J.A. (1984). 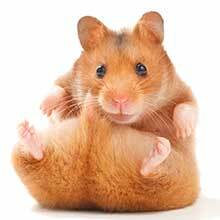 Those Cheeky Hamsters, in Animal Health: Livestock and Pets. 1984 Yearbook of Agriculture.